In the whirlwind of marriage, the second wedding anniversary often rolls around faster than the first. Despite this year getting less attention, it’s not an anniversary you want to forget. Keep your marriage on the right track with a symbolic gift to mark the occasion. Traditionally, the second-anniversary gift is cotton. This versatile material represents both comfort and strength. Like threads of cotton woven together, so too will your marriage become more interconnected in time. For the second year of your marriage, we suggest gifts that are thoughtful, romantic and practical. The honeymoon stage might be ending, but keep the spark alive with some of these inventive two year anniversary gift ideas. If you married right out of college, it’s possible you don’t yet know what a difference a quality set of sheets makes. Toss out those cheap sheets and pick out a pair that feels as luxurious as they look. Your bed should be a haven, an escape from the stress of everyday life. Make it one. Unless your significant other hates flowers, you can’t go wrong with a bouquet. The official flowers of the second anniversary are cosmos and lily of the valley. Cosmos are lively and represent a playful love. Lily of the valley is fragrant and symbolizes purity. 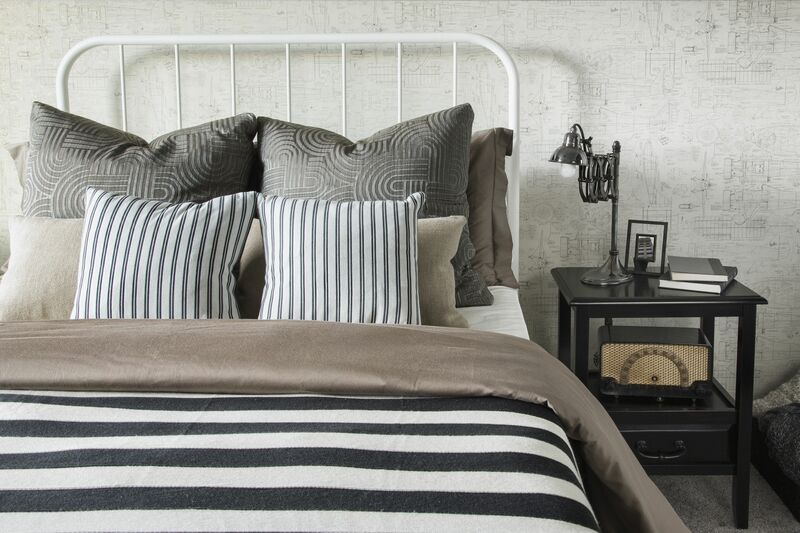 Cotton on its own doesn’t necessarily have a strong scent, but fresh linens do. 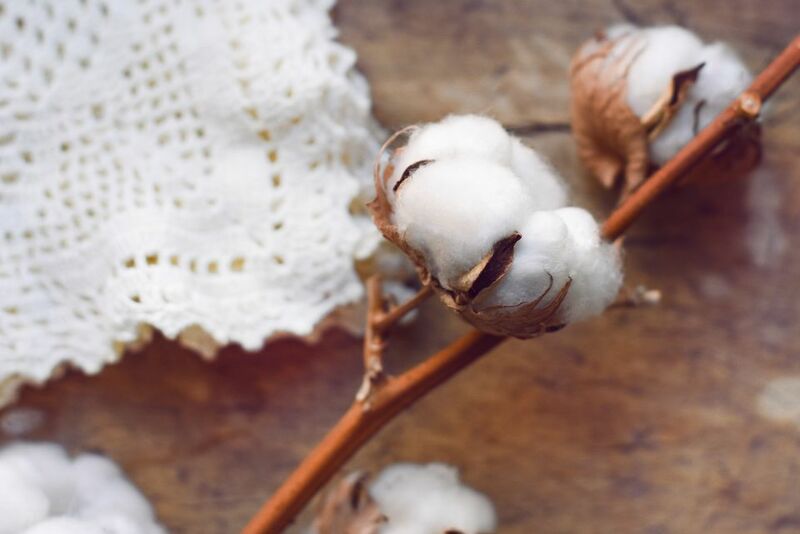 Treat your loved one to a romantic fragrance inspired by the traditional gift of cotton. This particular scent is a citrusy blend of verbena and orange flower. Experts say you should make your bed every morning. When you come home after a long day, there’s nothing better than hopping into a freshly made bed. Let a custom pillow case like this one be a reminder to cherish your time together at night. Many couples get a set of fine china for their wedding. Take the set out and plan a dinner party. If you’re missing a key piece like the gravy boat, for instance, purchase that, so you can complete your set. This wreath is not only stylish, but it also makes a beautiful statement on a front door or above a mantle. Every time you walk past this piece of decor, you’ll be reminded of how much you cherish your marriage. Garnet is the official gemstone for this anniversary, and it couldn’t be more romantic of a stone. The deep red hues symbolize passion and commitment. The other bonus is that garnets are relatively inexpensive. The underlying theme here is to work to keep the romance alive. If you look hard enough, this gift idea can be both practical and romantic. Find cotton underwear you’ll love to see your spouse in, even on the most basic of days. Porcelain usually comes in the form of dishware, but there are a lot of creative ways to incorporate it into another practical gift. Porcelain fridge magnets in the shape of a heart are thoughtful, they look great, and they are extremely useful. In case you didn’t know, you shouldn’t wear your wedding rings all the time. It’s especially important to take off your rings when you’re washing your hands or doing the dishes. A porcelain ring holder like this one is ideal to place by a sink so that when you do take your rings off temporarily, they are less likely to get lost. If you’re the type of couple that drinks coffee together every morning, a custom coffee mug will make a meaningful anniversary gift. You can be charming, witty, funny or romantic. Pick a saying or design that resonates with you, but also one that will bring a smile to your partner’s face. Luxurious bathrobes are one of those things that most people enjoy but rarely ever buy for themselves. Pair a comfortable cotton robe with a gift card to a spa or salon. A little pampering can go a long way in a relationship.